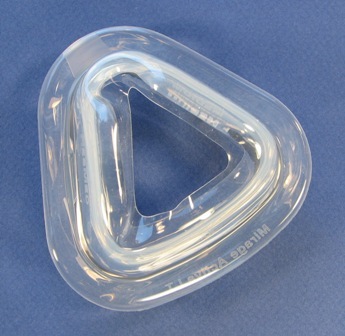 Replacement large silicone cushion and retaining clip for the ResMed Mirage Activa™ LT nasal cpap mask.The large silicone cushion is interchangeable with and can be used in place of the large ResMed SoftGel™ mask cushion so if you currently use the large ResMed SoftGel™ mask you can replace that cushion with this one. Note: The large cushion will fit the Activa™ LT or SoftGel™ standard mask frame for the medium, large and large wide mask. It will not fit the small frame.